This week we turned our focus on Duran Duran. Sure, there is a whole backstory on Martin's connection with the band. What he doesn't tell you is that he at one time was seriously considering auditioning (even talked with and picked up a tape of instrumental originals to write vocals over) for a heavily Duran-inspired local band. 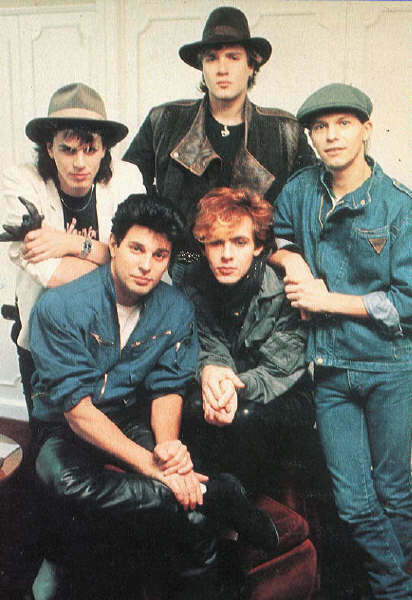 But, the Duran Duran made a big impact on his approach to music and the appreciation thereof. Here he gives you the low-down, plays a retrospective mix, live tracks and album tracks. We decided that this and next week will be pre-recorded episodes... meaning no calls or chat room but plenty of free time for the staff. (About time!) Anyhow, as we get closer, he'll be going through a huge list of all the bands that he wanted to cover and didn't and it's pretty lengthy. Pretty good timing for this episode seeing as it's the same week they release their new studio album, All You Need Is Now, at iTunes. We would like to wish everyone the best during the weekend and holiday.